Substantial and exciting work is imminent in Adelaide. In what’s been termed ‘a massive infrastructure investment phase’, the South Australian capital will present numerous opportunities for plant and equipment hire companies to win work. These projects are predicted to amass billions of dollars in value, and a few smaller building construction projects have caught our eye. It's been described at the University of Adelaide's largest capital works project in its history. The facilities are worth an impressive $206 million and have a federal contribution of $60m. 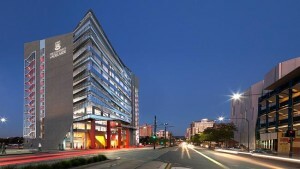 Work began on the 13 storey building in August last year by the appointed builder Lend Lease. The real opportunities for plant hire in this project lay not in the earthworks - with excavators and the sort - but in small equipment hire. As Australia's largest online marketplace for plant and equipment hire, PlantMiner has you covered for cranes, access equipment, trucks, skip bins, site amenities, edge protection and other small tools. The building is set to open in 2016 and be student-ready for Semester One the following year. It's time to gear up for some earthworks! 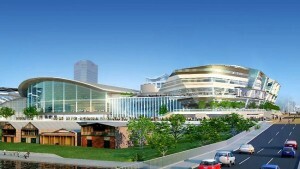 In 2010, the South Australian Government announced a commitment to the redevelopment of the Adelaide Convention Centre and allocated $397 million to the project. Work commenced in late 2011 and is expected to complete mid-2017. The major redevelopment is being delivered over two stages. Stage One - an expansion of the original building - was competed and opened recently. Stage Two - involves the demolition of the existing structure before constructing a purpose-built centre. If you are a plant or equipment hire company looking to win more work, there is an easier way! PlantMiner can generate more leads for your business by keeping you up to date with developing projects like the above. Register your plant and equipment with PlantMiner and get involved with these projects.